Continuing on from my previous post about Sunglasses for Mountain Biking I had the opportunity to try a pair of the Rudy Project Rydon Sunglasses featuring the ImpactX Photochromic Red Lenses during a Sunday ride out at a local 20 mile (30km) route through part of the beautiful North Downs in Kent, UK. Our route took us through some of the most beautiful and picturesque parts of the Kent countryside found in between Canterbury and Ashford on the North Downs. Starting in Chilham we rode along quiet country roads, up steep rocky inclines, down insanely quick single tracks, and through farmers fields overlooking some stunning vistas, all in the course of the challenging 20 mile loop! Seriously, when you just drive along the main roads through this area you miss so much of what really is in this area – many car drivers certainly don’t know what they’re missing! The weather for this ride was perfect with clear blue skies with the temperature in the mid 20’s even at 4 o’clock in the afternoon. The ground was perfectly dry making for a challenging, bumpy and very dusty ride which was sure to get the blood pumping and the suspension working hard! In my personal opinion (as I sit here with aching thighs still…) this route probably isn’t too suitable for those new to Mountain Biking or for those that are relatively unfit as some of the uphill sections are particularly difficult especially with the rocky/gravelly undulations and some downhill sections are very fast and are likely to throw you off if you have a bike with inadequate suspension travel, that being said though this route can be taken at your own leisurely pace with plenty of opportunities to stop at a lovely English country pub for a break and a ploughmans. 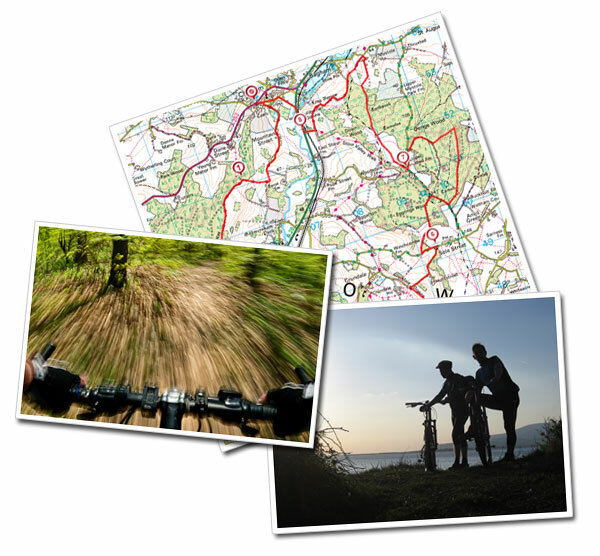 If you’re local to Kent (UK) or are planning a visit down this way for a ride out I can highly recommend taking a look at the Kent Trails website for more information – The route we took is listed on the site as the Chilham to Wye route. I usually wear a pair of Ray-Ban RB3186 Sunglasses for everyday sun protection but these are not particularly great for mountain biking especially when the going gets tough so trying a new pair of sport style sunglasses in a completely different style initially took a little bit of time to adjust to and get comfortable with. Trying the Rudy Project Rydon on for the first time took a little adjusting to get fitment right, thankfully the frame comes with adjustable temples and nose piece making finding the perfect fit relatively easy, and after 10 minutes or so with the arms tucked through my helmet strapping I had soon adjusted to the frames and forgot I was wearing them. First impressions, also thanks to the lightweight design, were impressive. As with all Rudy Project products the Rydon comes nicely packaged with the package containing the Sunglasses, a hard case (not shown), a soft case, and full information about the frame and instructions for changing the lenses. The hard case also comes with enough room to store another pair of lenses in but in reality the hard case is perhaps a little too large to carry around with you comfortably – I had to leave this in the car while riding. The Rudy Project collection is all about sporty designs fit for a sporting purpose rather than just general fashion wear so you’re unlikely to find the Rydon in any pub gardens (unless you’re stopping at The Tickled Trout in Wye for a cheeky break of course…) or at any music festivals. The Rydon that I tested featured an Ultralight Kynetyum Frame, Adjustable Temples and Nose piece, and Interchangeable Lenses that can be removed and replaced within seconds making them perfect for any face size and any lighting conditions. One issue I did notice with the design was that the lenses were prone to fogging up when you were stationary after a period of intense physical exertion, this fogging tended to dissipate as soon as you began to move and produce airflow around the lenses. I don’t consider this to be much of a problem in the summer months as the vast majority of the time you’re always on the move so the fogging does not occur, however, during the winter months when the temperatures are considerably cooler I think the fogging may become more of a problem and an anti-fogging solution may need to be applied to the lenses. When wearing sunglasses I expect them to feel comfortable at all times without giving me any undue pressure on the bridge of my nose or my head where sometimes they can start to give me a headache thanks to the arms pressing against my head a little too much, I also expect my sunglasses to stay in place and not slip down my nose due to the frame being too loose. Fortunately, the Rydon proved to be very comfortable to wear from the moment of trying them on and with some minor adjustment of the adjustable temples and nose piece the sunglasses were sure to stay in place at all times even over the toughest terrain. The ImpactX lenses gave me the confidence to push on without the fear of getting anything damaging in my eyes such as branches, stones or large bugs while the wide lenses also gave adequate wind protection during fast sections of the ride meaning I never had any tears (of joy, not pain…) streaming down my face at any point! Our ride took place on a beautiful summers day starting at 4pm with clear blue skies and not a cloud in sight. This ride took us through various part of the Kent countryside with various lighting conditions from open fields to sparse and dense woodland, conditions that would test the photochromic red lenses to their maximum. Part of the ride took place in open surroundings allowing the full sunlight to activate the photochromic lenses from light red to a darker shade of red reducing the need to squint in the bright sunlight especially as the sun heads towards the horizon at around 7-8pm – this change in lens tinting is really not noticeable while riding which I consider to be a good thing. The rest of the ride took place in vast areas of woodland of varying density meaning some poor lighting conditions, these lenses were quick to clear and were perfectly wearable in dim conditions during the day. However, I did find that while they were fantastic during bright conditions the lenses were a little too dark at around sunset time when entering wooded areas, there were moments where I was unable to see clearly until the lenses had cleared and my eyes had adjusted to the dim light. For evening rides where I know I’m likely to be out after sunset I would probably choose to swap to clear or perhaps yellow lenses which are great for dim lighting conditions instead of wearing no eye protection at all. Fortunately, I’m lucky enough not to have to wear prescription glasses myself (although that probably won’t last forever…) but if I did then these Rudy Project frames are compatible with a prescription ‘clip-on’ or ‘insert’ meaning I could have clear vision while protecting my vision. This would also mean that I wouldn’t have to worry about wearing a pair of normal everyday prescription glasses which would be totally unsuitable for riding. 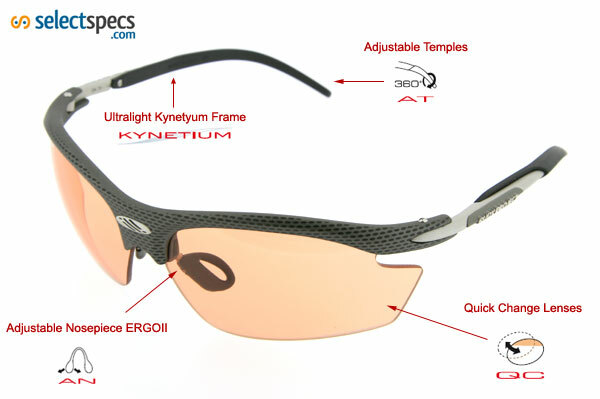 My overall impression of these frames are that they are perfectly suitable for mountain biking and that I strongly recommended them for consideration while looking for similar frames from other leading brands such as Oakley, Bolle and WileyX. The Rydon was comfortable to the point where I could forget I was wearing them and the varying amount of adjustment from these frames makes it easy to adjust to anyone’s face. Would I buy a pair? Certainly, while testing these sunglasses I loved them so much I decided to buy that pair once I returned to the office on Monday morning! While I wouldn’t wear these every day as a fashion item for sun protection, I would always choose to wear the Rydon during any sporting activities where I needed sun or just eye protection. 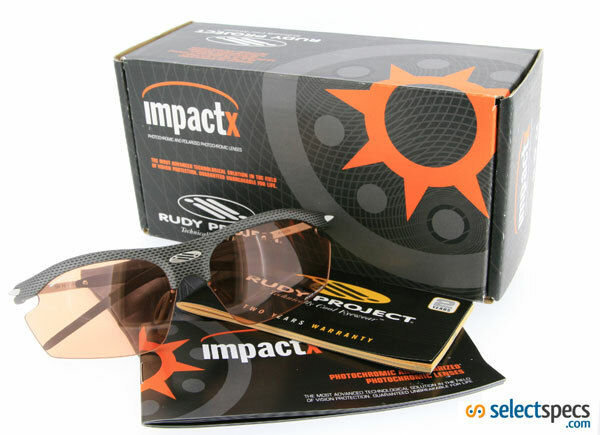 One thing I would probably consider is approaching Rudy Project for an additional set of yellow or clear lenses (ImpactX of course!) for riding during the late evening where you don’t need ultimate sun shade protection but are perfect for late evening or night rides, especially as the winter months loom just around the corner. Don’t forget, these Rudy Project frames feature lenses that are interchangeable for different lighting conditions and different sports including, Golf, Climbing, Shooting/Hunting and much more, making these frames absolutely perfect for all sporting activities! your reading glasses are too expensive you can get this glases from pound land for £1.00 only and there is no postage and packaging it is simply a rip off since there is no technical skill required what so ever.!!!!!!!!! Visit Pound Star , Pound Land, Savers Store, Wilkingsons they are all cheaper than you by 900%!!! Our reading glasses are supplied by Weco/Bushman and are considered to be one of the top brands and highest quality products in the optics industry. Our customer’s have the freedom of choice to buy cheap products from a Jack-of-all-Trades Grot Shop or high quality ready readers from a specialised company like ourselves or one of our competitors. That is the nature of how the world works in the 21st Century. We have been selling these products since our company was founded and so far we have zero reports of any problems from customers. I have Rydon ImpactX Polarized Photochromic Gray lenses. They are good when they are new. I had to replace the lenses five times!!! Usually they start to deteriorate after one year of everyday use. There are irregular shape little bubbles start to appear inside the lenses. Additionally, when you look through the lenses on some black surfaces under very bright sunlight (like fresh or wet asphalt surface or tar) the black color turns into purple and it’s very confusing when you are biking. When lenses were new they did not change black colors. Rudy Project knows this problem and they slightly improved this product but it still have above mentioned problems. Thankfully Rudy Project replaces my lenses under the warranty for free. Warranty period is just 2 years. Be careful with this product and good luck!